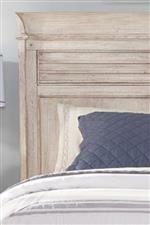 Featuring a louvered headboard design and a Distressed White finish, this captain's bed exudes coastal cottage style. 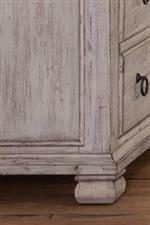 Drawers on either side provide great space-saving storage that's perfect for a guest bedroom. 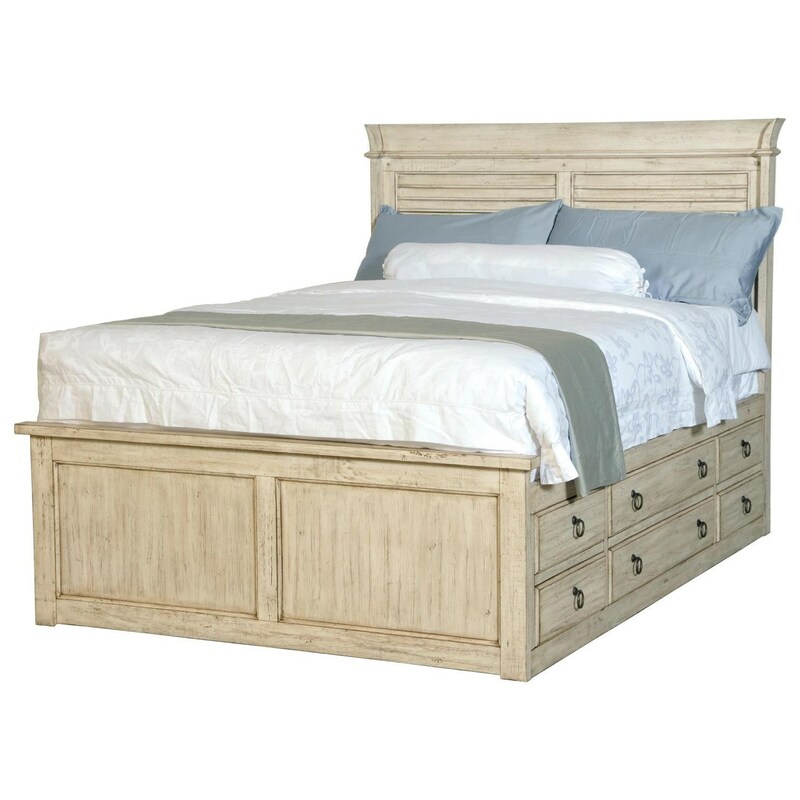 The Belmont King Captains Bed with 9 Drawers by Napa Furniture Designs at HomeWorld Furniture in the Hawaii, Oahu, Hilo, Kona, Maui area. Product availability may vary. Contact us for the most current availability on this product. Storage Three storage drawers on one side, six storage drawers on other side. The Belmont collection is a great option if you are looking for Relaxed Vintage furniture in the Hawaii, Oahu, Hilo, Kona, Maui area. Browse other items in the Belmont collection from HomeWorld Furniture in the Hawaii, Oahu, Hilo, Kona, Maui area.